A.B.A.T.A.G.A.S: Apple needs to re-think its iPhone strategy in India!! Apple needs to re-think its iPhone strategy in India!! What will ye fate be on our shores oh mighty iPhone 4? Its no secret that India is not all that high on Apple's list of priority countries... There are no Apple Stores here (Authorized Reseller is the name of the game), the online Apple Store redirects you to the before mentioned resellers and the App and iTunes Stores are laughable. The launch of iPhone 3G generated a lot of buzz in India back in 2008. After all, we were going to 'officially' get it too (as opposed to buying it in America, Britain, Australia or where-ever and then jailbeaking it). The phone was selling for about $500 in the States and by normal conversion rates (given hope by Steve Jobs's claim that it would cost the same everywhere in the world), the cost should have been about Rs. 23,000. Instead, we were offered un-subsidiced handsets ranging from Rs. 32,000 ($690 - 8GB) to Rs. 36,000 ($776 - 16GB) that were sim-locked to two of the largest service providers in the country. Needless to say the buzz died with the price and the launch party on 22nd Aug 2008 turned out to be a damp squib. But the thing is, people had taken interest till before the price disclosure. Vodafone and Airtel, the two launch partners, had taken out full page ads in newspapers, television spots showed the new iPhone and for a brief moment in time, India was flowing with the rest of the Apple world. And then nothing happened. In-fact, a whole lot of Apple-related nothing happens anymore. It took forever to get the 3GS to India (launched March 2010) and now four months later rumours are flying about an October 2010 launch for the iPhone 4. Now to make sure this one doesn't fail and its consumers and supporters are not robbed again, Apple needs to change the way it does business here. The following few points sum up my take on what should be Apple's next iPhone strategy in India. 1. Negotiate with carrier partners to subsidise the handsets. Sure you want to keep them exclusive, but Rs. 20,000 to Rs. 25,000 is also a pretty exclusive price range. Apple will not only blow the competition out of the water but will also shake up the entire Indian handset market besides gaining huge traction in handset adoption. Besides, whats the point of SIM-locking the phone to the carriers if they do not give Apple or its (and their) customers any benefits in return?! 2. Negotiate with carrier partners for decent 3G voice and data plans for iPhone customers (both Post-Paid and Pre-Paid). With the 3G services launch just around the corner, there is wide spread concern that 3G will be treated like some holy spectrum/service and will be super duper expensive. Apple needs to let its customers know that they can get the best service on their expensive phone. Of-course Apple doesn't own these carriers to dictate to them what it wants, but, like it has done in countries the world over, it can still exert some influence and negotiate. 3. Market your device. Apple products are very popular in India even if people don't really know what they are really about. Help multiply that... take out television and radio ads, place features in papers/magazines and publish ads there. Go for that media blitz... its not like Apple doesn't have the money anymore. 4. Develop a real App Store for India. The Indian App Store is still weak. Why are we still being shown prices in US Dollars and not Indian Rupees after almost two years of lunch? If the eco-system is weak, then it weakens the appeal of the iPhone. 5. Develop an iTunes Store for India. This country has the largest film industry in the whole wide world. We have a huge music industry. We have a huge number of people that download songs over the internet. Then why... oh why do we have no iTunes Store (iTunes U doesn't count) to download songs and to buy and rent movies from?! Granted that most of the downloading is illegal and free in India, but, wasn't that the case in other countries as well? More people will be willing to pay for the songs and movies if they get a good, convenient and secure service free from the hassles of spy-ware and shoddy sites. 6. 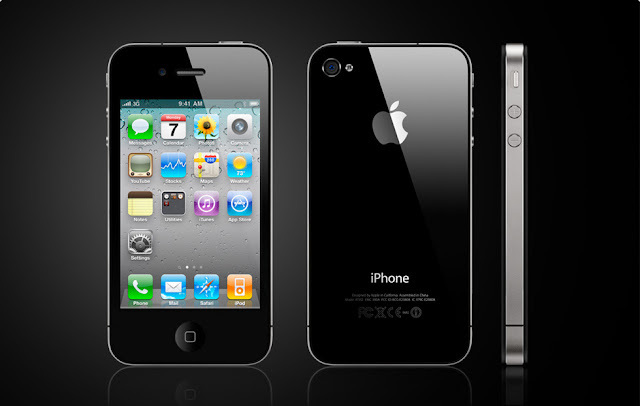 Sell iPhone online directly. Whats so difficult about doing this? If it works in other countries... it can work here. People do buy stuff online in India and Dell has been selling computers (electronic devices too aren't they) here for a number of years now. Volumes might not be the greatest but its an avenue to generate sales and give people easy access to your product rather than them buying from third party suppliers or un-interested carriers. 7. Push Airtel & Vodafone to get their act together. They need to do more to develop and sustain the iPhone user base. Just carrying the phone will not generate them any good will. They have been looting people for two years selling an expensive phone with expensive data plans and all this while they haven't even had a 3G service. They need to feature the device like they do Blackberry phones. Makes ads, display them at stores, feature them prominently on their web-sites (its a task finding the iPhone section on Airtel's website) and make apps for the users to help with the service (like most decent service providers do the world over). Again, negotiation with them is the key. There is humongous potential for Apple to grow in India and the for the iPhone to dominate the market but only if Apple India wakes up or Apple switches off the auto-pilot on which its Indian arm is flying on right now. There are rumours that Apple India might be starting to learn to stand on its own two feet and India is becoming more of an important market for Apple but actions speak louder than words. When it happens, we might rest easy... but right now... in India... we still haven't seen any of that excellent customer service, magic or reality distortion which Apple is famous for.